Living in Ireland, I am very aware of the relationship between people and nature. The weather, the lunar cycle and the light and landscape are never out of consciousness. 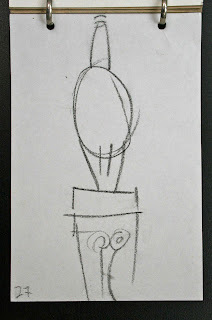 Each year at this time I also began to think of the sculptor Constantin Brancusi. Not alone because I love the man and his work, but also because of his descriptions of the annual celebration of Luminata each April. 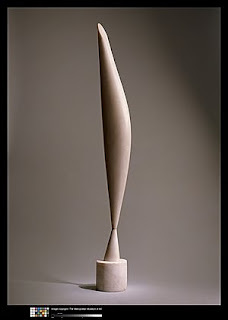 Brancusi was a devout Roumanian Orthodox who was also never far from the teachings of the poet and Tibetan Buddhist Milarepa. On April 23rd each year, St. Gregory’s day or Luminata, light in the ascendant, is celebrated. Winter is “done and dusted”, and the gratitude for surviving it is expressed within the community. Brancusi’s own accounts of Luminata at the little Roumanian church at Jean-de-Beauvais in Paris lead me to that same place and celebration. Everything about the environment was intimate and easy, yet sacred and real. The parishioners roamed around the open sanctuary, negotiating confessions and penance with priests out in the open, each animated and bargaining. Above us, members of the choir arrived in their own time, as if responding to a casting call from heaven, beginning to sing in ever more complex harmonies while throwing off their coats along the way. Each voice was added at the right moment. As the incense and choir of voices continued to grow, the effect was mesmeric. Although every surface of the interior was lined with oriental carpets, nothing could muffle or impede the rich voices of the singing above, while all around us, more and more candles illuminated the celebration. Hours later the final gesture to Spring consisted of loaves of freshly baked bread, broken and passed around amongst the milling congregation, as they caroused the sanctuary engaged in equal measure with eating, laughing and praying. in all things, at the core of things, shall find it very easy to understand modern art, because their hearts shall vibrate in keeping with the laws of nature. There is a purpose in everything. In order to achieve it, one must detach oneself from an awareness of self. Don’t look for obscure formulas or mysteries. It is pure joy that I am giving you. My innovations come from something that is extremely old. Following my first visit to this celebration, I began a series of works entitled Luminata Celebrant. With these works I saw, again, that an image can be a vessel, containing an essence, and be both empty and full. Recently, a visitor to the studio chose to acquire one of the Luminatas. 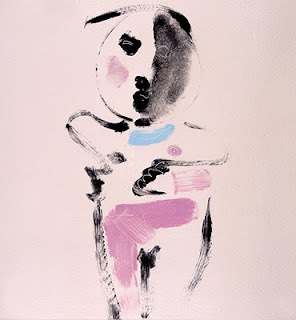 “She” will now reside in a beautiful part of Belgium. In our conversation that evening, we spoke about image and essence, light and new life, re-affirming a belief that humans can invest the things we make with “the essence of things”. Happy Luminata! This entry was posted on Wednesday, January 30th, 2019 at 19:03	and is filed under For Peace. You can follow any responses to this entry through the RSS 2.0 feed.